Have you ever received a request for proposal (RFP) from a potential client? Or noticed one in the E-Learning Heroes forums? 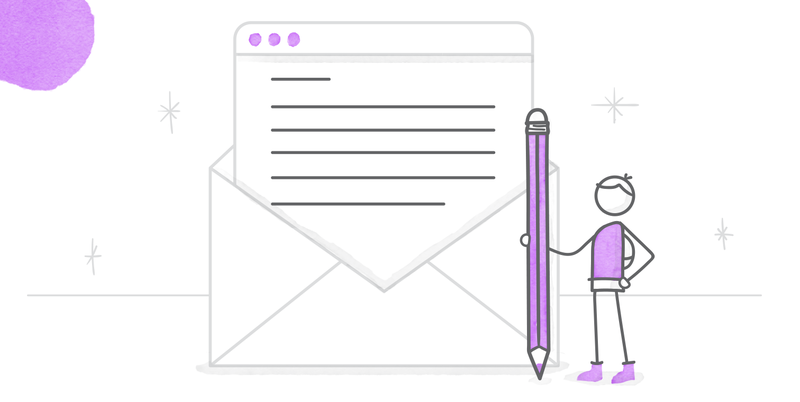 If you’re an e-learning freelancer, you might be wondering if it’s worth prepping a response to an RFP—and, if you do, the best way approach. In this article, I’ll help you learn what RFPs are, and share my tips for preparing and submitting your response. When a company doesn’t have internal resources to complete a project, they must find someone on the outside to help. Their goal is to find a business partner qualified to execute and successfully complete their new project. If a company has a more formal qualification process, they might determine who is qualified by writing and distributing a competitive RFP. Each organization will have its own requirements in an RFP, so they vary widely. In the E-Learning Heroes forums, I’ve seen RFPs that were four to ten pages in length, requiring five to six days to craft and prepare a response. Less common are complex RFPs 50+ pages in length, requiring weeks to prepare. Introduction / Company Background: Information about the organization issuing the RFP. Project Scope / Requirements: Details about what work they need completed. Selection Criteria: More info about how they’ll choose the winning RFP. Timelines: Context to help you understand how quickly the work should be completed. Processes to follow for submitting questions: In case you need to clarify the scope and requirements. Questions and RFP requirements: Info about what you should include in your response. One of the first things to ask after reading the RFP is, “Should I bid on this?” If you decide you can’t meet the timelines proposed or don’t have the resources/skills needed, then stop. There’s nothing wrong with passing on the opportunity if it’s not a good fit for you, especially since the time you take to respond to an RFP isn’t paid. Requirements are very specific for submitting questions, including deadlines, processes, and how to submit them. If you fail to follow these guidelines, you could be disqualified. Questions submitted, and their answers, are almost always shared with others competing for the same project. Be strategic in what you ask so as to not give away insights into how you intend to approach the work. If all your research shows that this RFP is a great opportunity for you, it’s time to get your response ready. How will you approach solving the problem(s) referenced? How have you solved similar problems? What value can you emphasize with your proposed solution(s)? How much will you charge for your services? What assumptions will you make about the project? What will your proposed project schedule look like? If something in the RFP is challenging, point it out in your proposal. It’s not unusual that some requests may be more complex to implement than others. Be open and honest; it shows you’re thinking strategically. Tailor your proposal personally to the client. As you prepare your response, show that you understand their unique challenges and explain how your company can help address them. To answer questions regarding schedules, start dates, milestones, and what you’ll charge for your services, I recommend the following additional resources: 3 Tips to Know Before Negotiating Your Next E-Learning Contract and E-Learning Project Estimate Worksheet. Large projects often include requests for financial records. From my experience, it’s best not to provide confidential information (e.g., cash balances, income statement). Instead, provide more general financial information such as the number of years in business, your number of clients, and client references. This information usually suffices when it comes to demonstrating that you’re a legitimate business. If not, you’ll have to decide how much is too much to give. It’s also common for these to require that you have a business license, professional liability insurance, and sign non-collusion statements and business continuity agreements. Hopefully these tips will help you make informed decisions about the next RFP that comes across your desk—and capture any business you decide to bid on! If you have any questions, please share them in the comments below. Great article and lots of valuable info here! What I'm interested in though, is how do you get the opportunity to bid on RFPs? If you're a freelance e-learning developer and have a have a website and good portfolio, what strategies or marketing techniques can help in having companies reach out to you to bid on a project? Would there be any local websites that list RFPs that are open for bidding? I don't actively pursue RFPs and have decided not to bid on them when invited. For the most part, I find that the elearning RFPs lack enough information to make a proper bid or they ask you to jump through hoops just to get to an interview stage. Having said that, I know you are based in Ontario so you could try https://www.merx.com or http://www.rfp.ca for public sector opportunities. You can also try city websites such as https://web.toronto.ca for municipal opportunities. Some of these sites make you pay for the RFP so you have to decide if it is worth it or not and since most seem to be geared towards big vendors or have a vendor of preference (and they are just going through the motions) it is most likely a long shot to submit a bid. As for private sector RFPs, I am not sure if there is a centralized site or not. My suggestion would be to monitor the companies you are interested in and also to visit the Job Postings section on this site on a regular basis because companies sometimes post requests for proposals. I feel exactly the same as Nancy, especially about this: "For the most part, I find that the elearning RFPs lack enough information to make a proper bid or they ask you to jump through hoops just to get to an interview stage." I used to ask for clarification, to see if it would be possible for them to provide further (basic) information, but I've found that to be a huge waste of time. Thanks Michael. Appreciate you taking the time to comment.